This is the text from a paper presented at the 2012 Society for Cinema and Media Studies conference in Boston, Massachusetts. It remains a work in progress. A girl named Candy sits alone at her 16th birthday party. A pop record plays quietly in the background. It starts to skip. An untouched birthday cake rests on a table in front of her. Sixteen candles remain unlit. There is no need to light them. For Candy, they are already extinguished. Her friends didn’t come to her celebration. In fact, they couldn’t come. It turns out this party wasn’t today or yesterday. It was years ago. But, for Candy, it is tomorrow. It is always tomorrow. She awaits an event – a future – which will never come, although perhaps it already has. Instead, she lingers in a present moment, hermeneutically sealed off from the yesterday of her adolescence and the tomorrow of her adulthood. She isn’t on a precipice – she is locked in it. As such, she becomes a forgotten figure in her own world. A has-been in her own being. 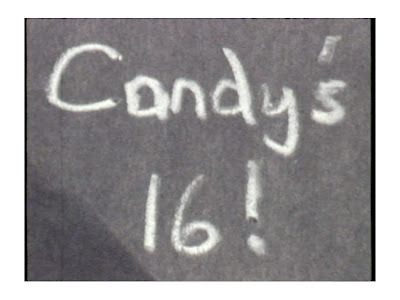 This paper will examine Candy’s 16! 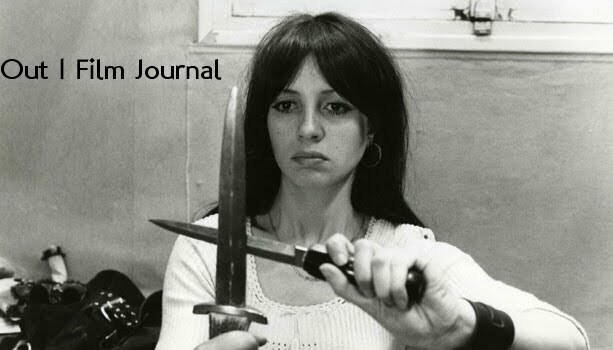 as a model of what I am calling, following Walter Benjamin, “Has-Been history” – a conception of history understood through outmoded, forgotten objects and commodities. For Klahr, objects are “has-beens” lying dormant in historical ruins waiting to be revived. The stakes of this revival is central to this paper and Klahr’s work in general. Klahr has become well-known for his cutout animation techniques, yet Candy’s 16! is a more traditional found footage film. This may make it a somewhat odd choice for extended analysis. However, I argue Klahr’s approach, even in the early stages of his career, indicates the mission of has-been history – the purpose is not to pace an object historically, but rather to uncover the irresolvable tensions between the historical context and the cultural moment in which materials are extended. Candy’s 16! operates as a transhistorical exchange in which the images of has-been history are revealed as irretrievably fractured. Klahr grants them new visibility only to have them quickly evaporate and remain unrealized. Candy’s 16! questions how personal materials, cultural memory, and the audience negotiate such a schism. Is this all an introduction or a farewell? As Candy awaits her party, celebrating her passage from adolescence to adulthood, Klahr indicates that has-been history can be called, but it cannot respond. History reverberates. Klahr’s films gesture toward its incommensurable aftershocks.